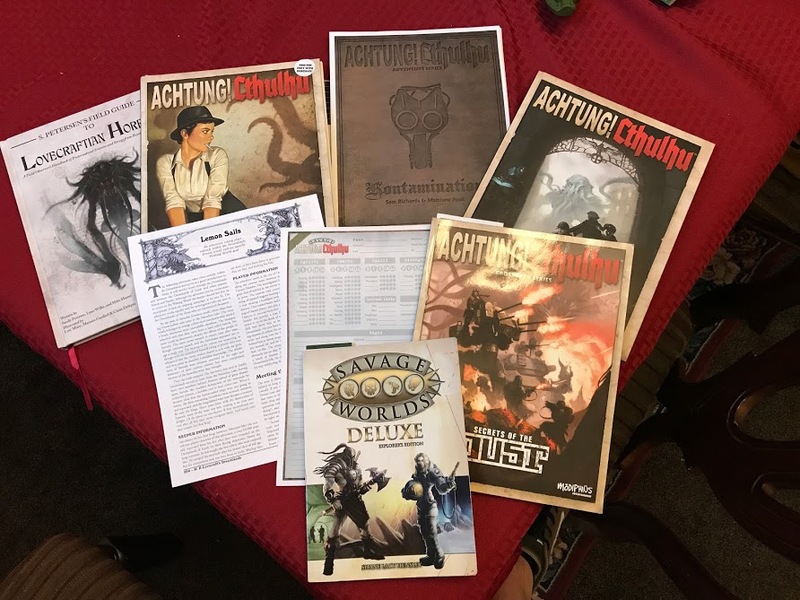 Having finished a rather long campaign and design project called “Call of Kungfulhu”, which is a Wuxia adaptation of High Fantasy and Cthulhu Mythos mash-up, I found myself looking for my next campaign design. 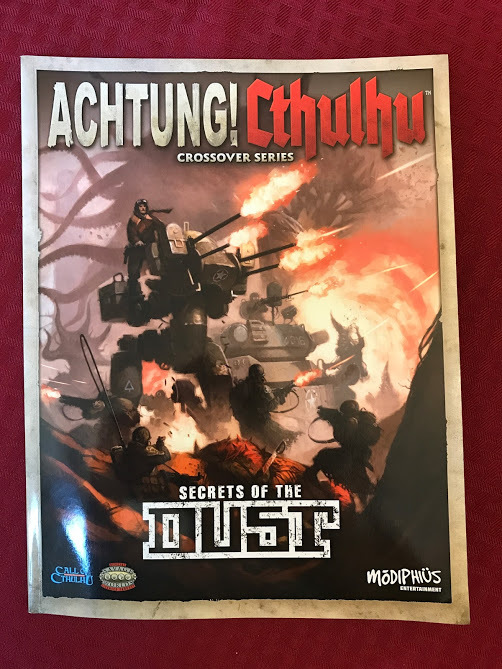 I picked up the A!C/Dust mash-up and was pleasantly surprised to see that a large part of the plot takes place in the Dreamlands – a setting that I have been completely immersed in with Call of Kungfulhu. 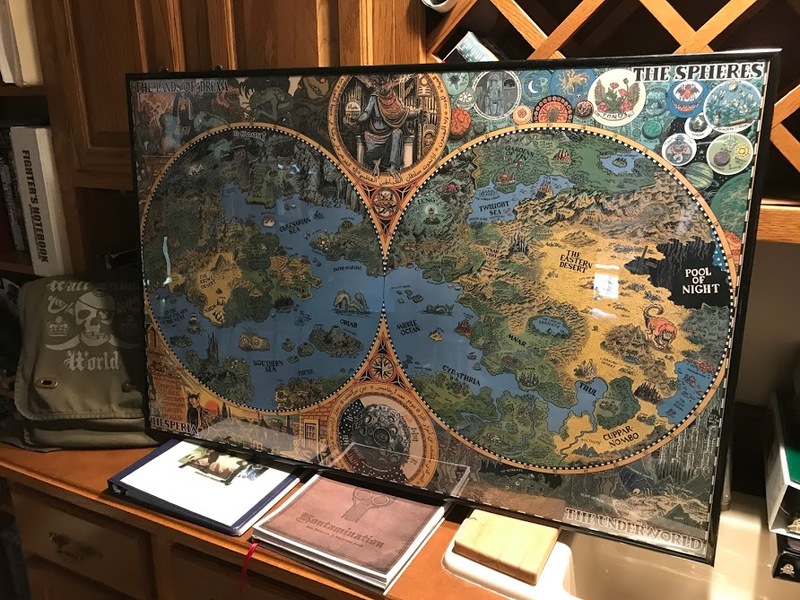 This allows me to further utilize the amazing map created by Jason Thompson which I had posted about previously. 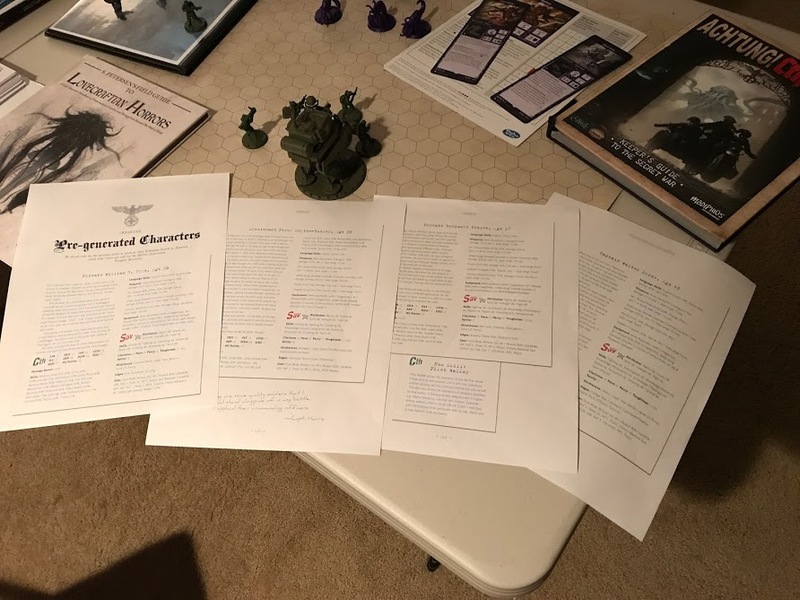 For the next several weeks I will be posting my campaign design notes and game play sessions in case there is anyone looking for ideas and tips on running this rockin’ campaign! The Dreamlands resource book contains an adventure called “Lemon Sails” that I used as a side adventure in Call of Kungfulhu. It’s such a weird, bizarre adventure that I wanted to add it to this campaign to make it more sandboxy. Plus, I want to see how differently it plays out in this setting versus how it played out in Call of Kungfulhu. 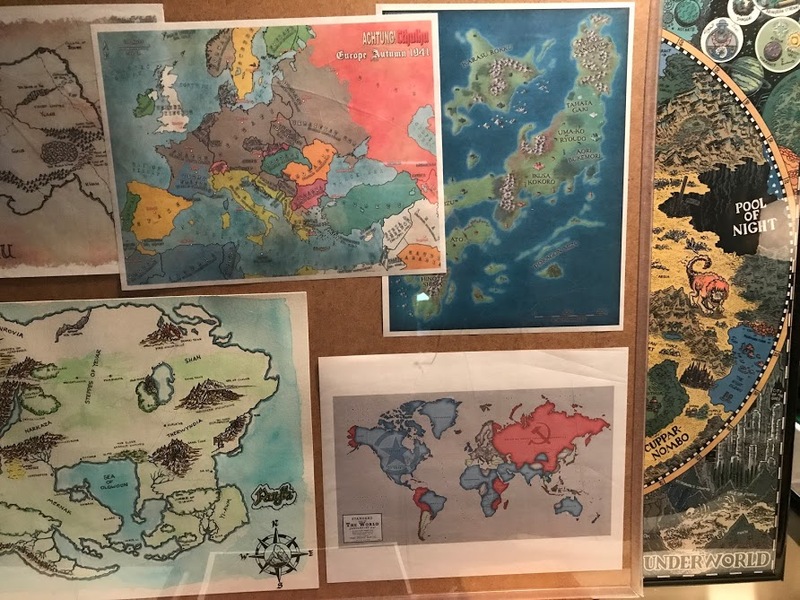 I also printed out both world maps as there are two different timelines that will be interacting with each other. The A!C map is pretty close to actual history (top middle), but the Dust map radically changes WWII (lower right). For Bennies I will be using regular poker chips for standard Bennies, but I created what I call “Blood & Guts Bennies”. 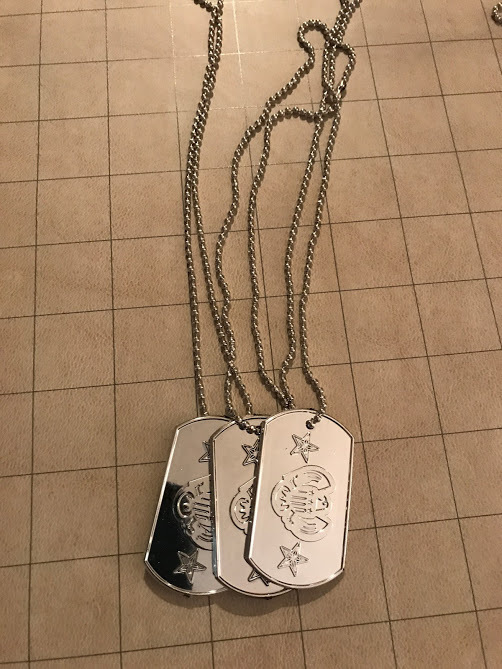 They are plastic dog tags. These Bennies can be spent to re-roll Trait or Damage rolls. The player also has the option of spending this Benny to add a d6 to either Trait or Damage rolls. 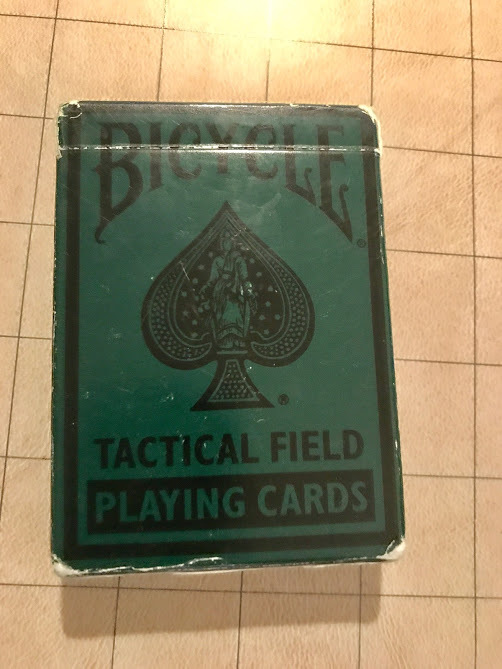 I will be using a set of military Tactical Field playing cards for my Action Deck. And here are the Dust figures I’ve purchased so far to get things rolling. More are on their way. 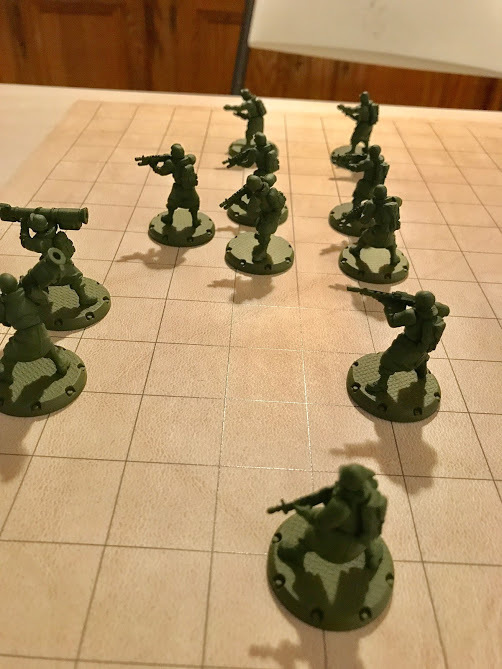 The Dust minis are just awesome products! 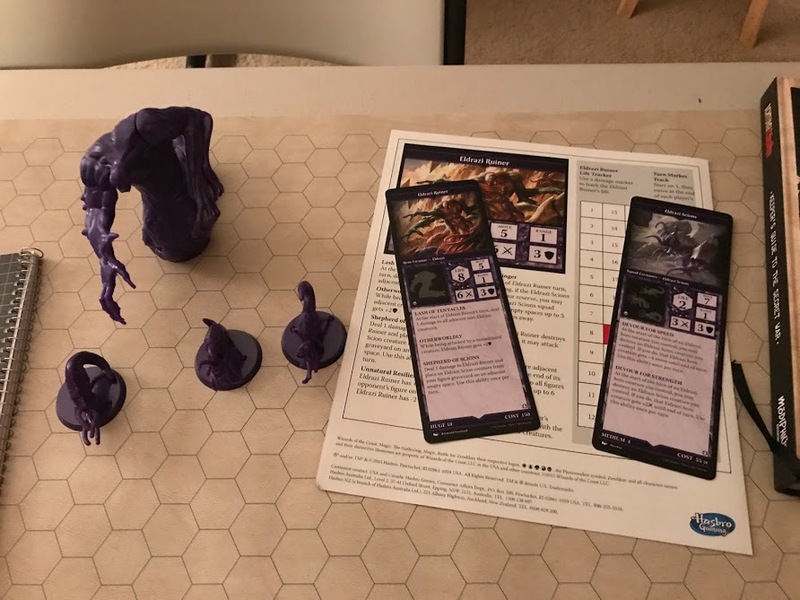 I will be using the Pre-Generated characters included in Secrets of the Dust for the Rangers coming from the Dust universe. 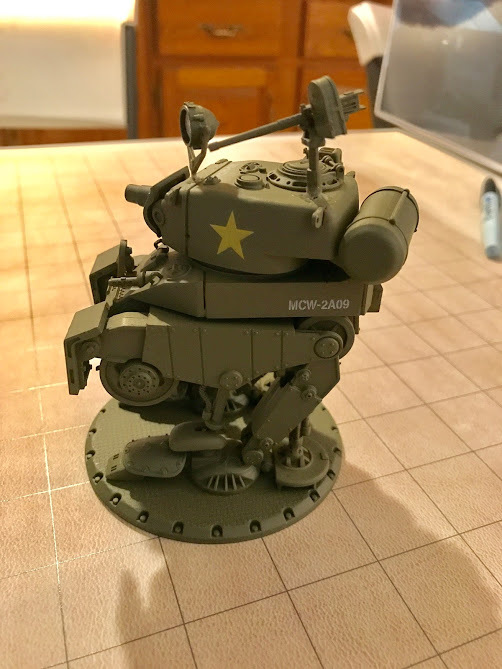 For the investigators coming from the A!C universe, I will be using investigators from Kontamination (more on incorporating this next post). 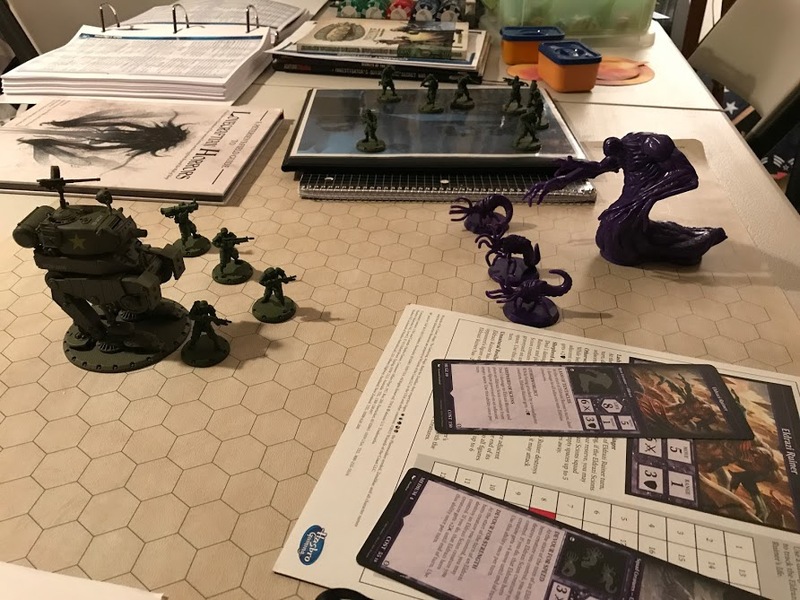 And, just as a warm-up for the campaign, I decided to create a quick skirmish with my squad against an Eldrazi Ruiner and 3 Eldrazi Scions from the Magic the Gather universe. These figures came out of the “Magic the Gathering Arena of the Planeswalkers” expansion “Battle for Zendikar”. I’ll be providing the Savage Worlds stats for these creatures next post. Stay tuned for more details on turning this adventure into a sandbox campaign that journeys through some exotic locales in the Dreamlands.